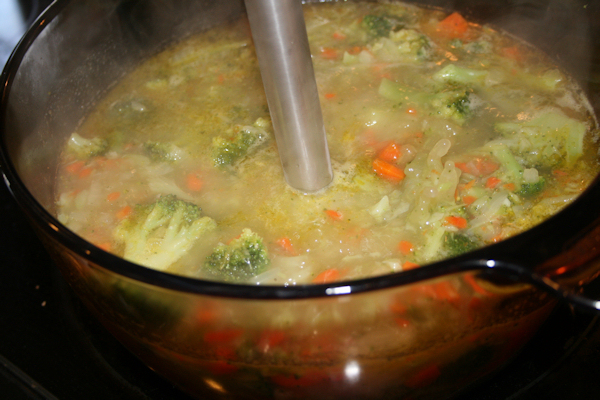 I love soups during the winter. 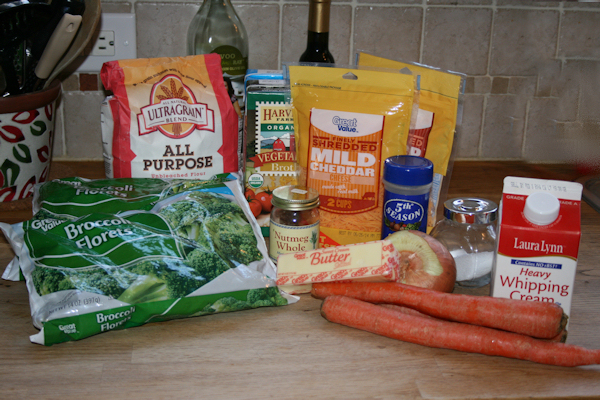 They are quick, easy and you can literally make anything to go along with it. 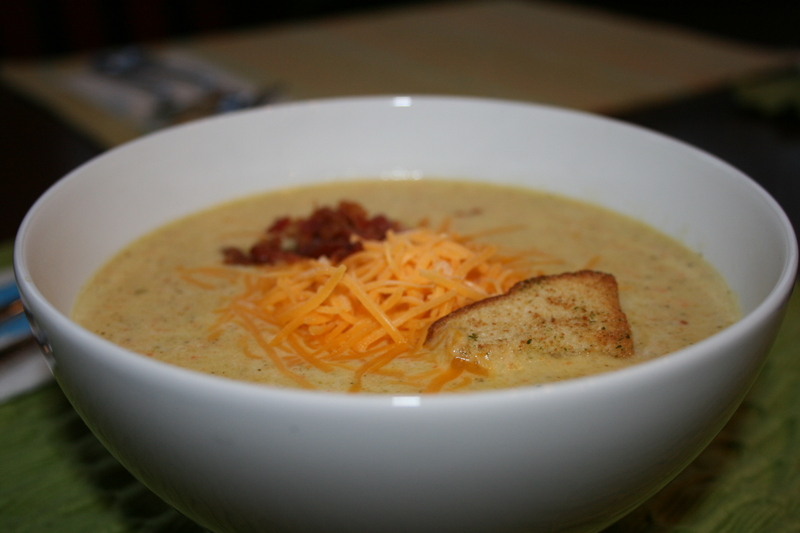 Your favorite indulgence is ok as long as you have soup with it! Well that is what I tell myself and please don’t tell me any different as tonight I am making cheesy stuffed jalapenos pepper poppers. 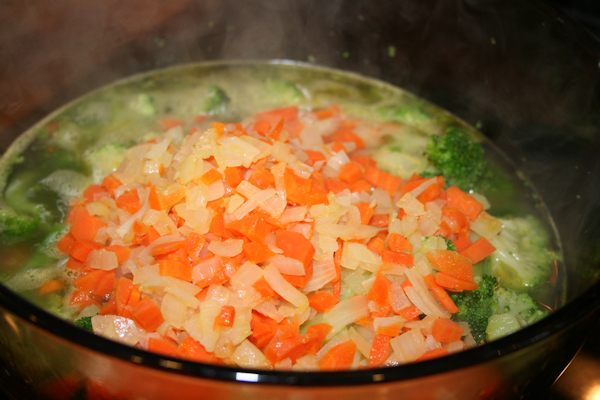 The creaminess of this soup and it’s easiness to make keeps me coming back winter after winter. 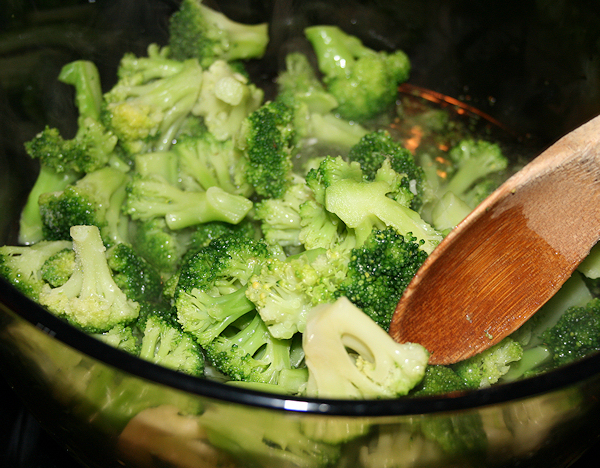 I make mine silky smooth with a few pieces of broccoli chunks and a hint of white wine. 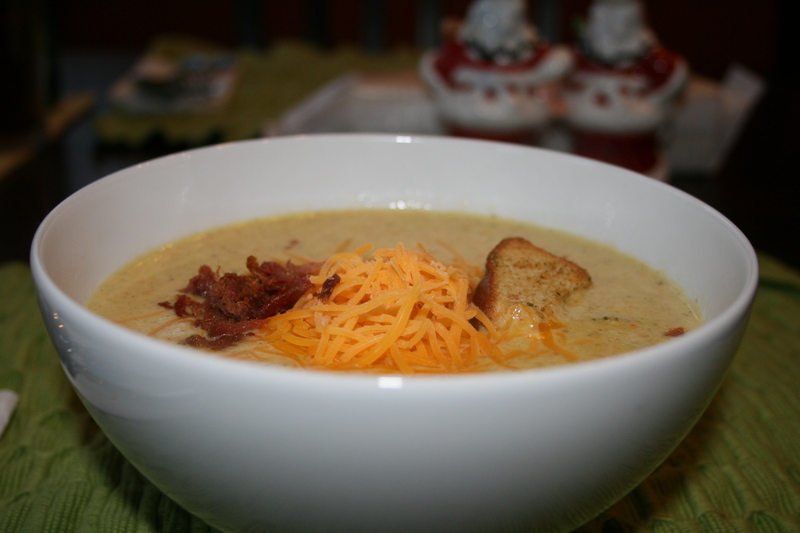 Topped with cheddar and a tiny bit of bacon, this soup hits everyone’s notes in this house. 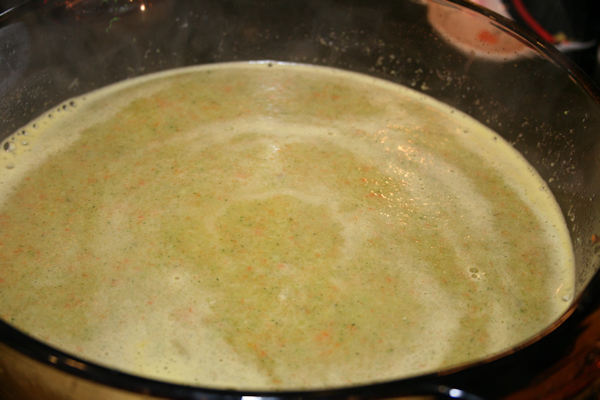 In a large stock pot, pour 2 cups of your chicken stock as well as the two bags of broccoli and season with some salt and pepper. let this come to a simmer. Next, dice your onion and carrots. 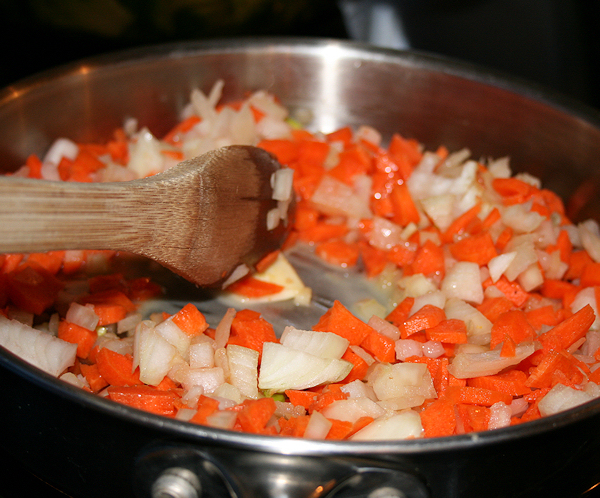 In a sauce pan, add 2 tbs of olive oil and one small pat of butter then saute the carrots and onions until translucent. 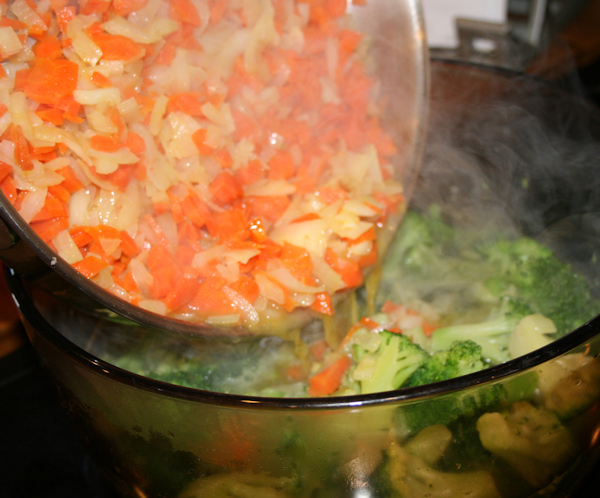 When done, pour the carrots and onions directly into the broccoli. 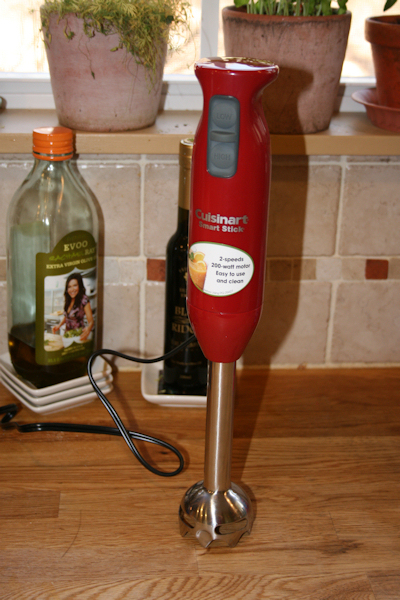 Now, this is where I use my emulsifier ( I love this piece of equipment , treat yourself!) Get all the chunks smooth and creamy. 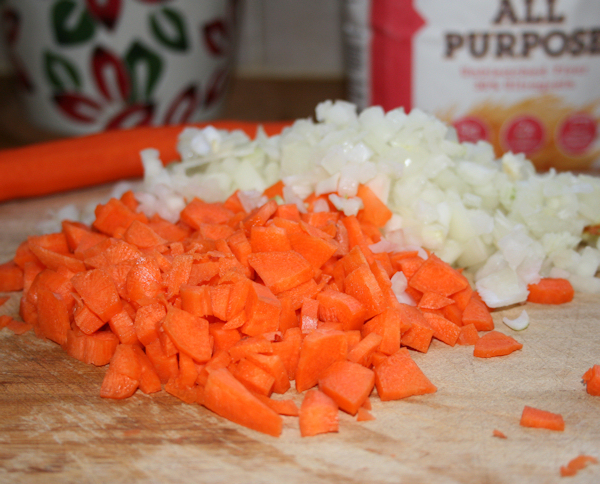 If you want chunky soup then skip this part! You can also use a blender and smooth out in batches or you can do half. 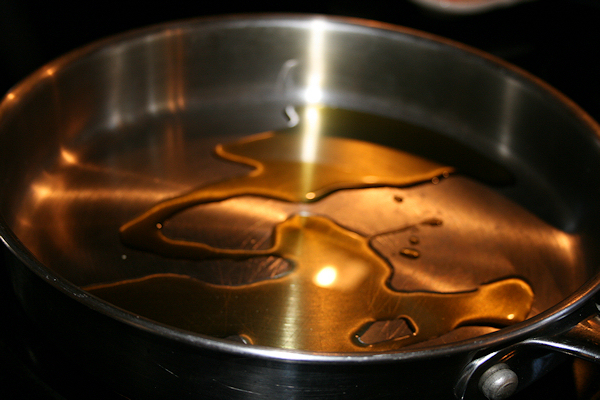 I love the emulsifier as it lets you do all that right in the pot and make it as smooth as you like. 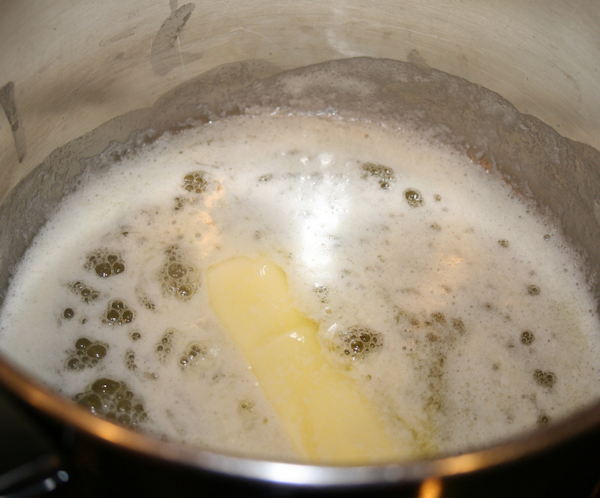 Next, in a medium size pot, melt the rest of your butter down. 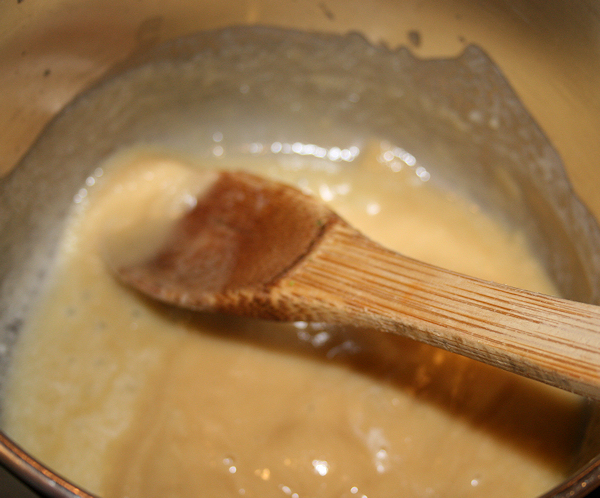 When melted completely, add 1/2 cup of flour and stir constantly until a nice paste is made. 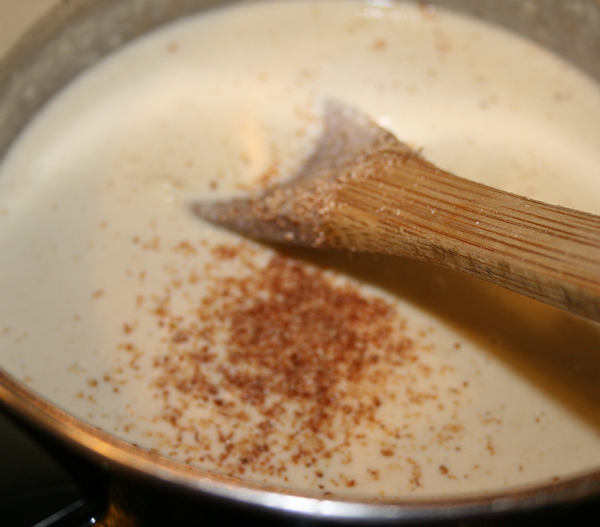 Add in your cream and stir. 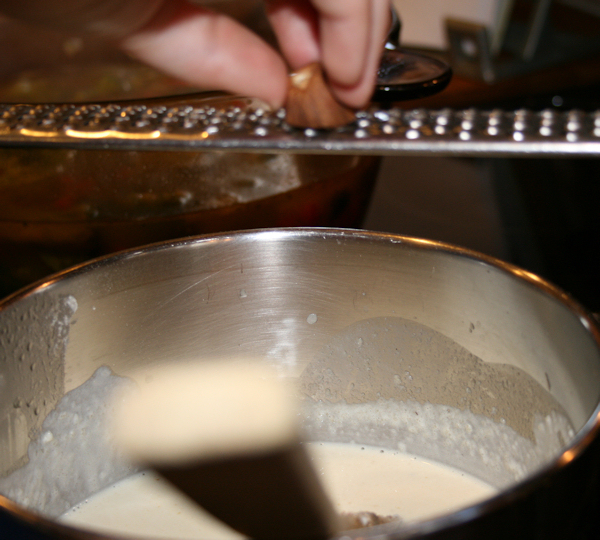 I use a whisk to get all the lumps out. 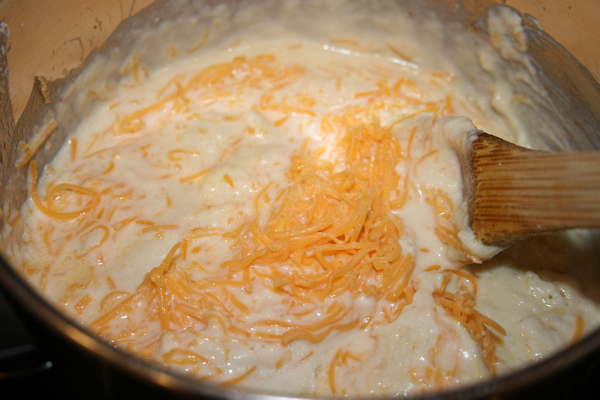 When you have a nice creamy consistency, you can add in the cheese one cup at a time and stir. 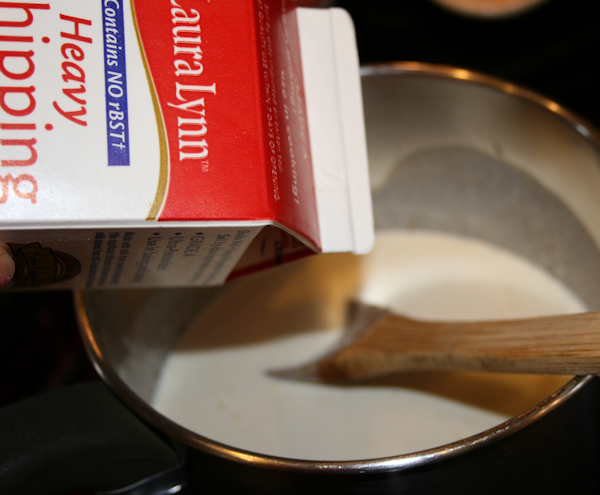 If it is getting too thick, you can add in the 1/4 of milk. Any you have on hand is fine. 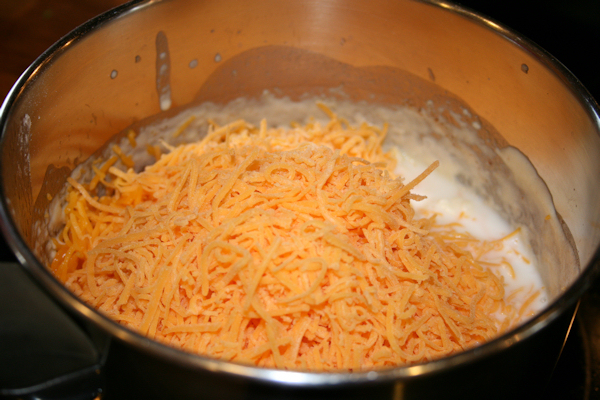 Stir together, folding the cheese completely into the rue. At this point you can now add it right into the soup. Stir. 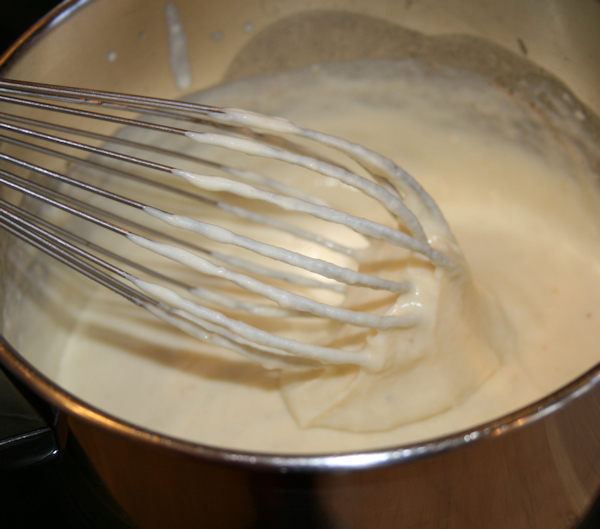 I use my emulsifier for this step as well but if you want, you can just use a whisk. 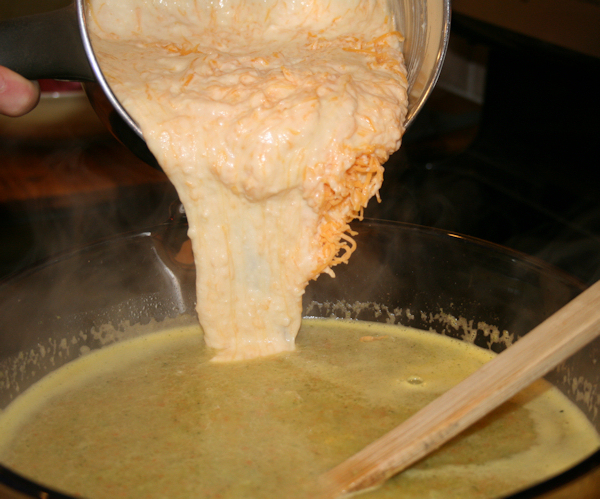 Stir until you can see that the cheese has made its way through the soup. TASTE! 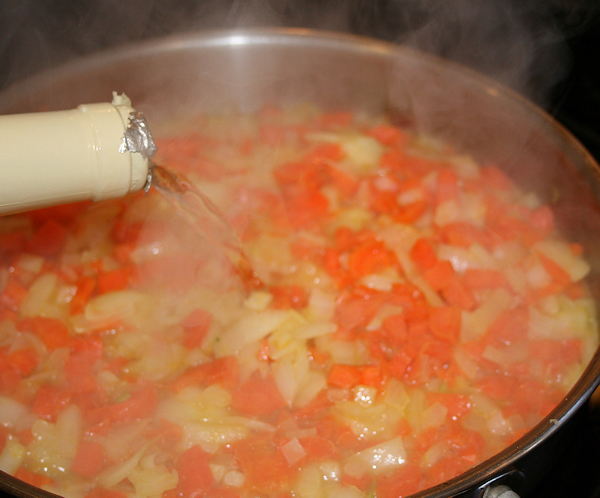 Then you can add salt and pepper to taste or even better, let everyone add their own. 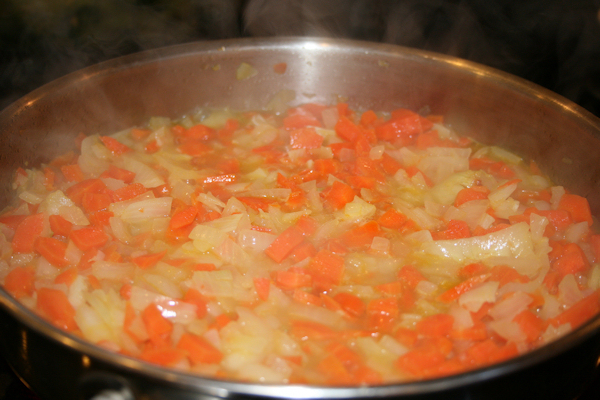 This soup has tons of flavor already. 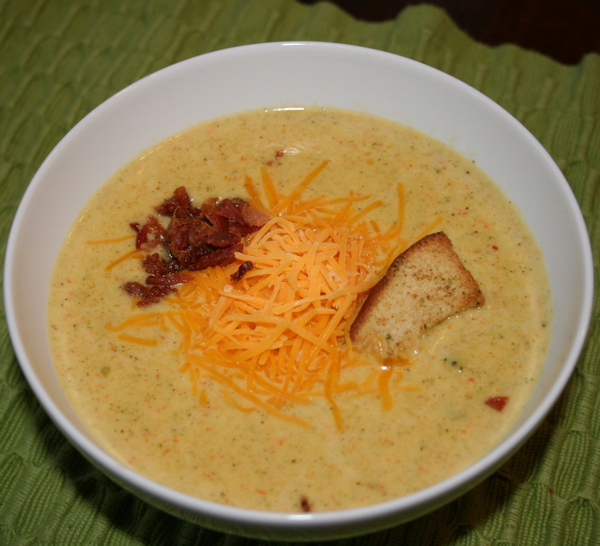 Garnish with some left over cheese, crumbled bacon bits or croutons. 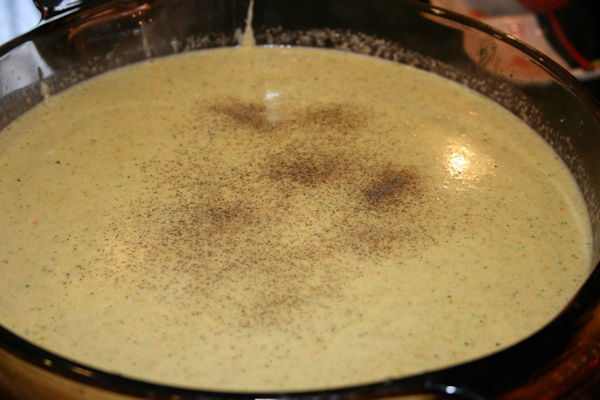 I served mine with a side of cream cheese poppers (recipe here). Enjoy! !